We originally decided to organise a social event to try and help our fellow colleagues beat the January blues! 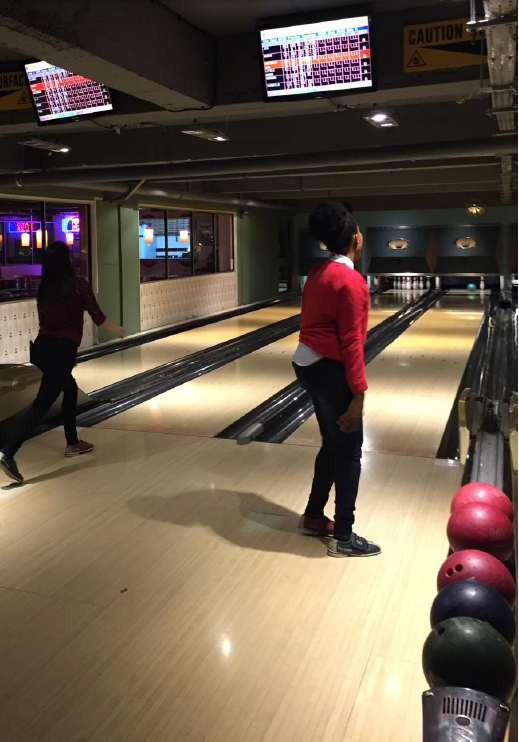 Once we had a spare moment, and to stop the students going on a New Year’s strike, we decided to organise an after-work bowling event. We invited students from Investigative Medicine and the Division of Brain Sciences to attend the inter-group networking event on Friday 12th January 2018. We were very fortunate and extremely grateful as this event was funded by the Graduate School. Attendees were randomly divided into teams across the three bowling alleys hired and participated in some friendly competition to find the top scoring team and player. We also shared some delicious pizza and drinks. After one game, the teams were reshuffled and play resumed. While the bowling skills among the group varied Jamie was the bowling champion among the group! Aygul Dagbasi, a 1st year PhD student in Investigative Medicine particularly enjoyed the event commenting “I had a great time at my first PhD social event! It was a fantastic way to get to know people from the lab in a more informal setting”. 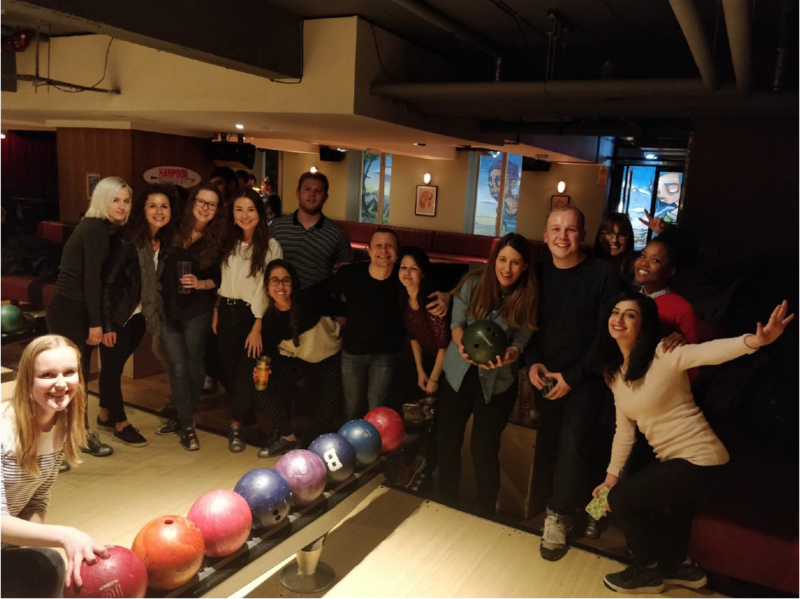 Katerina Petropoulou, a final year PhD student also added “I haven’t bowled in years but the event was the most fun I’ve had at a social event during my PhD”. Thank you again to the Graduate School for funding the event. As you can see from the photographs, everyone had a lot of fun and we look forward to the next event!